The magazine contacted me as soon as they received concern from vendors and distributors about my image on the magazine cover. As I have dealt with censorship in the past I knew that not being able to come up with a solution meant to loose the cover. I did not want to lose the opportunity that this image brings for creating a dialog about breastfeeding, extended breastfeeding, motherhood in general and the reactionary puritanical impositions that society places upon mothers. 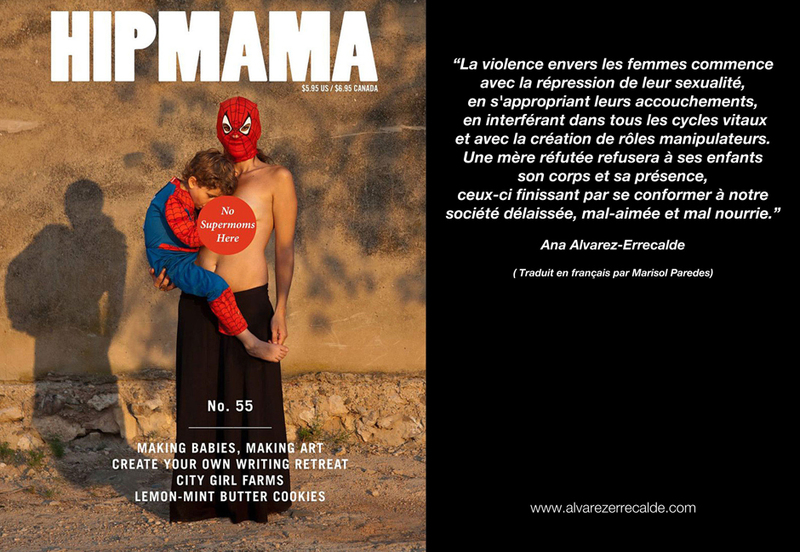 I put the red dot on the image and sent it to Ariel Gore, the director of Hip Mama magazine. She agreed with the idea when I explained that I thought this type of intervention on the photograph would serve the purpose of getting more attention to the alarming double standards of our ill society. Ariel Gore decided to publish the magazine with two different covers: the original unaltered photograph destined to subscribers and progressive bookstores and the one with the red dot intervention for main stream carriers. 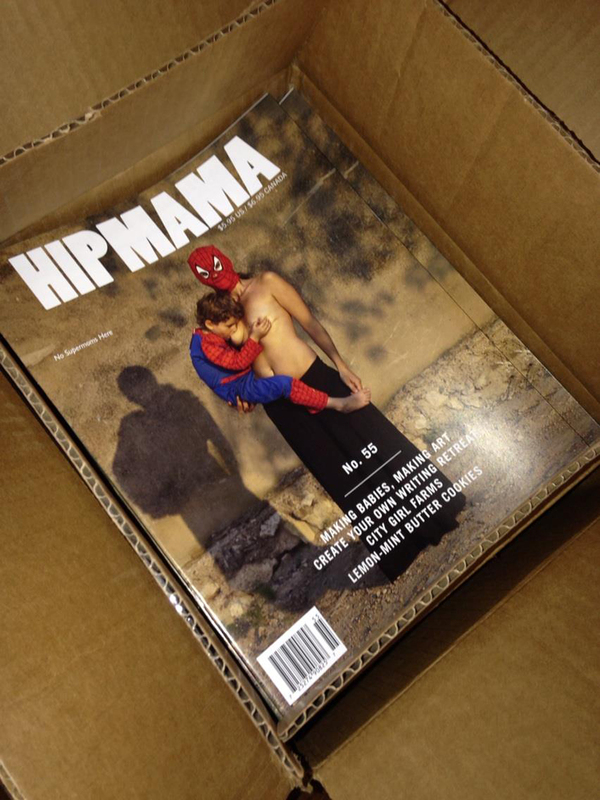 La revista Hip Mama se puso en contacto conmigo al recibir comentarios negativos de vendedores y distribuidores sobre la elección de mi fotografía en la portada de la revista. Como ya he sido censurada en otras occasions, sabía bien que no quería perder la oportunidad que esta imagen ofrece, creando diálogo y sacando a la luz ciertas experiencias sobre lactancia, lactancia prolongada, maternidad en general así como las imposiciones que el puritanismo reaccionario de la sociedad ejerce sobre las mujeres. Puse el punto rojo en la fotografía, junto con el texto que ya formaba parte de la revista y se lo envié a Ariel Gore, directora de Hip Mama. Ella estuvo de acuerdo con la idea y con el hecho de que este tipo de intervención en la fotografía servía al propósito de dar más atención a la alarmante doble moral que tiene nuestra sociedad enferma. Ariel Gore decidió publicar la revista con dos tapas diferentes: la fotografía original sin alterar destinada a suscriptores y librerías progresistas y la fotografía intervenida con el punto rojo para vendedores masivos.